You have 5 seconds to make a new visitor stay on your website. We are here to make sure your casual site visitors not only stay, but also turn into loyal customers. Our website designer can help you create a visually stunning and practical website. A well-designed website can mean the difference that makes a visitor choose to stay, browse and purchase instead of moving on to your competitor’s website. 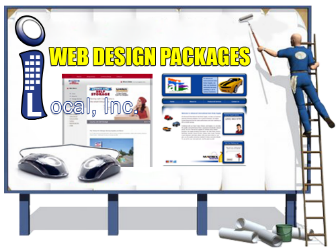 iLocal, Inc. offers web design services in Seattle, WA that can meet almost any business size, needs and budget. Our website designer can help you create an online storefront to sell your products and/or services. Or we can even redesign existing websites that need a makeover. Websites are powerful marketing tools that greatly influence buying decisions. We understand that the best website design services in Seattle offer more than just looks. The goal of a website design is to impact and attract more clients. Of course, pretty designs are great but they alone do not drive conversions. So by leveraging the power of strategic web design, we captivate the attention of your target audience and convert more visitors into leads and sales. Your website bridges the gap between you and thousands of potential clients, 24 hours a day, 7 days a week. When you work with our website designer in Seattle, you work with someone who will always have your best interests at heart. Your specific needs are always met – If something unexpected crops up, our website designer is ready to meet the challenge. If you are convinced our website design services can help your business in Seattle, contact iLocal, Inc. today.